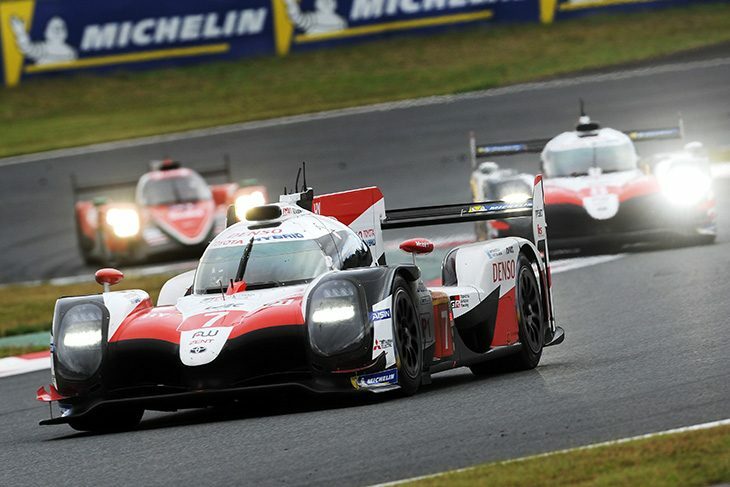 Toyota Gazoo Racing’s #7 TS050 HYBRID scored its first win of the 2018/19 FIA WEC ‘Super Season’ at the Fuji Speedway today, Kamui Kobayashi, Mike Conway and Jose Maria Lopez taking a controlling victory over the team’s sister car, leading another formation finish by the Japanese marque. It was a strong run from the three winners, who started at the back of the prototype field. The #8 of Fernando Alonso, Sebastien Buemi and Kazuki Nakajima crossed the line 11.4 seconds behind the winners, but three laps clear of the nearest non-hybrid competitor, the #1 Rebellion Racing R-13. “My teammates did a great job, yesterday in qualifying we were disappointed but we came back to win,” added Kobayashi. For the privateer runners in the top class it was a race of attrition in the end. Two cars had clean races, the #1 and the ByKolles ENSO CLM, and finished third and fifth respectively. The other four cars either had mechanical issues or, in the case of the #3 Rebellion R-13, an off. Gustavo Menezes was aboard the #3 when it went into the tyres at exit of Turn 1just before the end of the first hour. The American put the power down too quick and went veering off the road into the barriers, slick tyres on a greasy track the issue here. It’s an incident that sees Toyota take a big stride closer to wrapping up the title before the end of the season. To be in with a chance, the #3 crew can’t afford any more non-scores. Finishing fourth was the #11 SMP Racing BR1, Jenson Button, Vitaly Petrov and Mikhail Aleshin making the finish as a trio for the first time this season, in a race which for them marked real progress. Throughout the race, the car set fast times. Button in particular, was impressive behind the wheel, leading at the end of Hour 1, before fighting his way back to take fourth off the ByKolles CLM in the final stint of the race. It was a notable result for Super GT points leader Button, who made the finish for the first time this season. He will be disappointed at being robbed a chance to show the car’s true capabilities though. The #11 proved to be the only real threat to the #1 crew, but an alternator belt issue cost the team multiple laps and forced them to spend the second half of the race fighting back through the field. 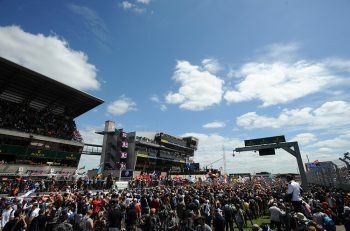 LMP2 meanwhile, was dominated by Jackie Chan DC Racing, the Chinese-flagged team scoring its second 1-2 finish in a row. This time however, the #37 all-Malaysian crew took the win over the #38 crew, Jazeman Jaafar, Nabil Jeffri and Weiron Tan all drove faultlessly and took control of the race in the second hour, going on to win by 30 seconds. “It’s unreal, it feels unreal. It was a solid team effort, I feel so proud, there’s more to come,” Jaafar said. Third, behind the two JCDC cars was the newly-crowned Le Mans-winng Signatech Alpine A470, which had a strong race, but couldn’t match the pace of the two ORECAs ahead when it mattered in the final act of the race. 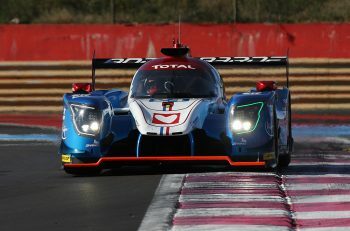 The podium was sealed early in the race for the French team, Nicolas Lapierre getting past Matthieu Vaxiviere’s TDS Racing ORECA to take third in the second hour of the race at Turn 1. 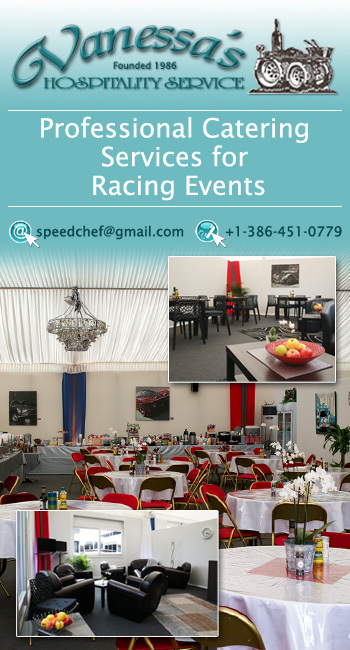 A podium finish was deserved though, and was sealed early in the race for the French team, when Nicolas Lapierre muscled past Matthieu Vaxiviere’s TDS Racing ORECA to take third in the second hour of the race at Turn 1. The race may have panned out differently in the class, which stayed static for long periods of time, had DragonSpeed not had such a tough outing. Its pole-sitting #31 ORECA looked set to contend until the very end, but multiple slip ups proved costly. The team lost time at the start due to Anthony Davidson being on the wrong tyres, before the car’s fate was eventually sealed by a Pastor Maldonado was involved in a collision with the #51 AF Corse Ferrari which forced the team into the garage. 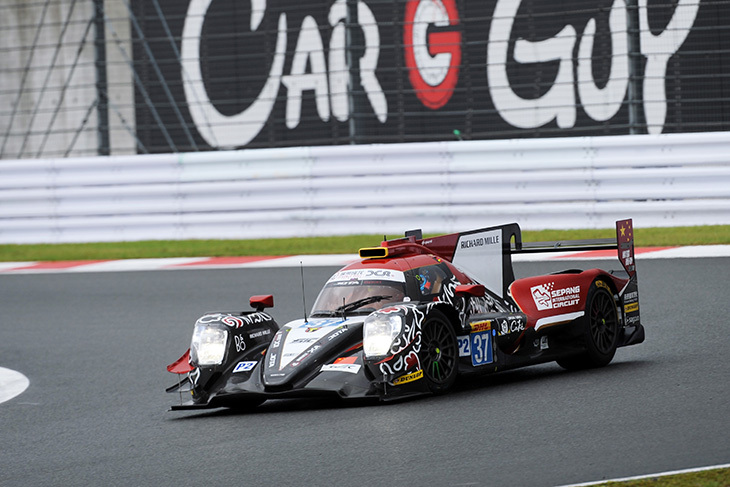 Going into Shanghai, the LMP2 title battle looks to be the one to watch now. The Alpine crew’s lead has been cut to just one point by the two JCDC ORECAs which now sit second in the standings on equal points. 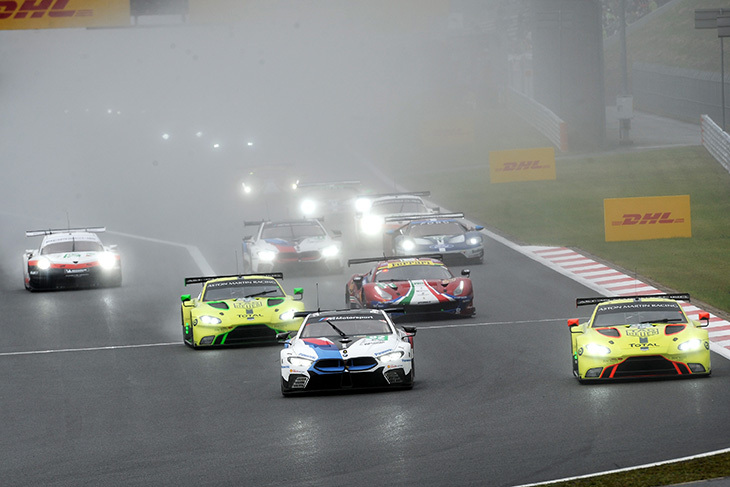 The best racing of this year’s 6 Hours of Fuji was found in the GTE Pro class, all five marques at times involved in the fight for the win. Once the rain subsided and the track dried out, the #92 Porsche, #82 BMW, #67 Ford and #71 AF Corse Ferrari emerged as the contenders. However, the #71’s chances of winning ended early, when Davide Rigon suffered contact with the DragonSpeed ORECA, forcing the team to pit to repairs and lost the lead which Sam Bird fought so hard for. That left the other three cars fighting for the win. In the end the #92 Porsche of Kevin Estre and Michael Christensen was strongest towards the end, and took the win, just 12 seconds ahead of the #82 BMW, which scored the marque its best result of the season. The #67 Ford finished up third, Harry Tincknell and Andy Priaulx extracting the most out of the car, which didn’t quite have the pace to finish any higher up the order as the race wore on. “We were wrong on our tyre choice in the rain, then made a wrong strategy call. But we fought back, maintained our pace and were strong until the end. 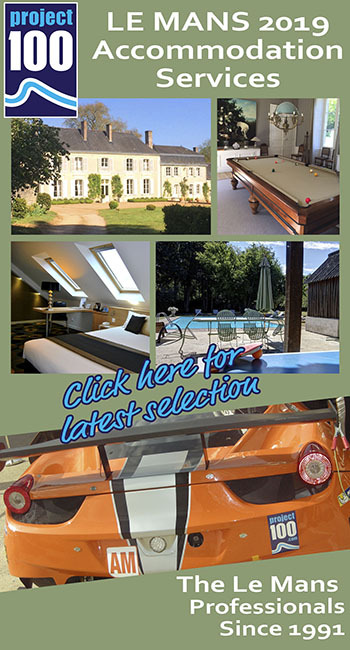 Mega teamwork from Manthey and Porsche,” Estre said. Aston Martin was the enigma here. 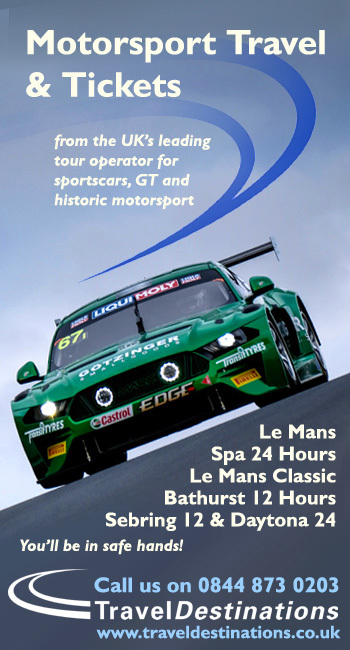 After its Vantage AMRs showed real pace in before the race, qualifying first and third, they fell away in the race. The turning point after a strong start for both cars came during the safety car, the team opted to pit both cars after the race went green again, losing both crews heaps of time. It left them playing catch up for the rest of the race. The #95 finished seventh, ahead of the #97 down in ninth. In GTE Am it was a landmark result for Team Project 1, taking its first ever WEC win, after a standout performance from Egidio Perfetti, particularly early in the race when it was wet. Patrick Lindsey and Jorg Bergmeister too didn’t put a foot wrong, the German crossing the line 19 seconds clear. While Project 1 appeared in control in the final hours, the other podium spots in the were decided late on. The #88 Dempsey Proton Porsche snatched second right before the end of the race Matteo Cairoli getting the better of Jonny Adam in the TF Sport Aston Martin at the Dunlop corner, forcing the Scotsman to settle for third. Mechanical woes prevented a strong finish from the Proton team’s other car, which held a healthy title lead going into the weekend. For Christian Reid, Julien Andlauer and Matt Campbell, a non score here puts the pressure back on the team heading into the final race of the calendar year.